Are you building a new home or considering a remodel? If so, now is the best time to design your audio, video and home theater system. 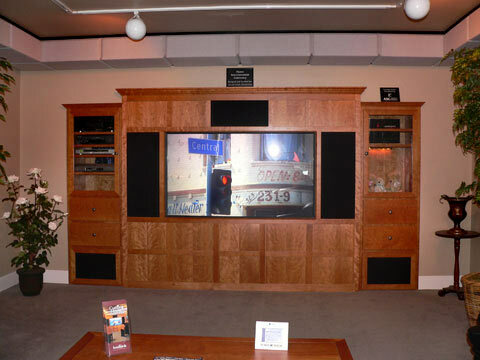 A custom-installed home entertainment system will enhance your living space. Be careful, however! You may not want to leave home and your residence can become a popular site for others. If you are seeking assistance in pre-wiring, system design and installation, please stop in or give us a call. Bradfords has been involved in custom installation since 1988. Fully aware of the potential complexity in a full house system, we have put a great deal of effort into designing systems that are easier to operate. Pre-wiring your new home is not expensive and adds value to your investment. If there is an area in the house (or outside) that you might desire audio or video, we recommend that it be pre-wired. With the wiring mapped and in the wall, you may finish the room whenever convenient.